Should we create laws to prohibit everything that we dislike? The NHL seems to think so. Following the infamous fight between Ray Emery of the Philadelphia Flyers and Braden Holtby of the Washington Capitals, the NHL plans to discuss more rules aimed to stop bad things from happening. Personally, I disliked the Emery-Holtby fight for numerous reasons. However, I don't think that new rules should be imposed to prevent such fights from happening. Nor do I think that we should prohibit everything else that I dislike in life. People sometimes act like jerks, but we shouldn't react to such breaches of decorum by imposing new laws that diminish the liberties of jerks and non-jerks alike. Unfortunately, Gary Bettman and Brendan Shanahan don't share this view. Following the fight, Bettman announced that the league will review the matter with its general managers. That discussion will include the possible implementation of a 10-game suspension for goalie fights. "Nanny Gary" has apparently received too NHL 911 calls. 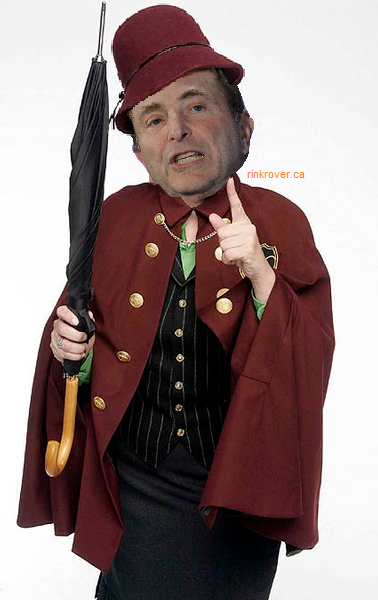 Brendan Shanahan backed up Bettman in saying, "I hate what Ray Emery did. I wouldn't like it if I were a teammate of his." The Flyers couldn't disagree with Shanahan more: the team started Emery in the very next game, and Vincent Lecavalier referred to the incident as a "team bonding" exercise. Obviously Bettman and Shanahan's outrage is not shared by the NHL as a whole, but the league will nevertheless discuss rule changes to prevent such actions from happening again. It seems that Bettman is getting rather rule obsessed in the twilight of his career as the Commissioner of the NHL. This year alone we have seen new rules that restrict the size of goalie equipment, require fighters to keep their helmets on during scraps, and forbid the Alexander Ovechkins of the league from tucking otheir jerseys (at least in some circumstances). The NHL isn't stopping there. Along with penalizing pugnacious goalies, the Board of Governors will discuss the possibility of suspending players who instigate fights in the third period. While execs busy themselves in manacling enforcers, they will also likely renew debates on banning the spin-o-rama from shootouts. The BoG, however, isn't concerned about how the existing rules are disrupting the game. Setting up face-offs takes about a year as linesmen arbitrarily wave out skaters. The linesmen must similarly interfere in fights should combatants remove their own or each other's helmets. On top of the dress code, officials are apparently expected to regulate the decorum of hockey fights: hence the refs assessed game misconducts to the Vancouver Canucks' Tom Sestito and the Toronto Maple Leafs' Colton Orr for the verbal lead up to a fight that was ultimately prorogued by the unwarranted penalty. 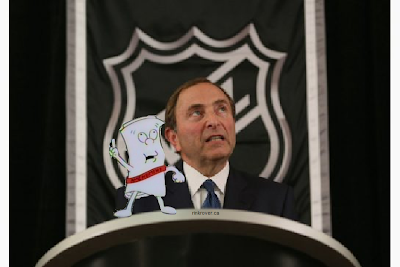 Still, Bettman and/or the owners feel that there is too much freedom in the game. Cue the obligatory, Simpsons-inspired parody of NHL's dogmatic tendencies. "I'm an an amendment to be, yes, a new rule from Gary. I'm just waiting on the league's BoG. There are unwritten rules but no player obeys them. 'Cause we must impose some decency. 'Cause player justice ain't something to trust.)" Instead of acting like a helicopter parent, Gary should let the game breathe. Some players will cross the line and instigate fights with reluctant combatants like Holtby. The John Scotts might target the Phil Kessels, but the offending players, in turn, will be targeted by others. Shane O'Brien of the Calgary Flames demonstrated that players can be relied upon to censure colleagues: after the Leafs' Carter Ashton delivered a questionable hit on Derek Smith, O'Brien chastised Ashton on the ice. My only qualm with this situation was that O'Brien had to serve an instigator penalty for defending his teammate. 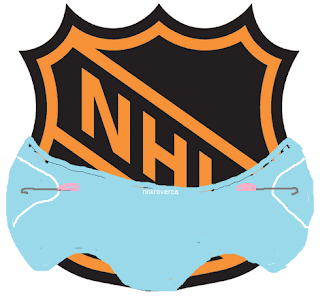 If the BoG insists that that the only way to prevent bad things from happening to each team's "precious snowflake" is to impose more and more restrictive rules on the game, then they might as well change the name of the NHL to "Nannystate Hockey League."